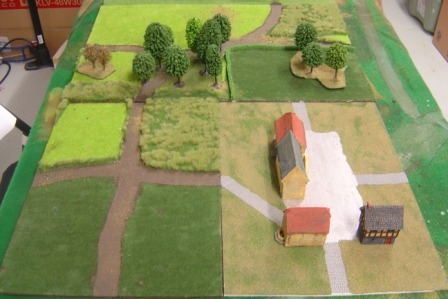 Though not strictly terrain "making" I went to the battlefield for the Battle of Blenheim 1704. 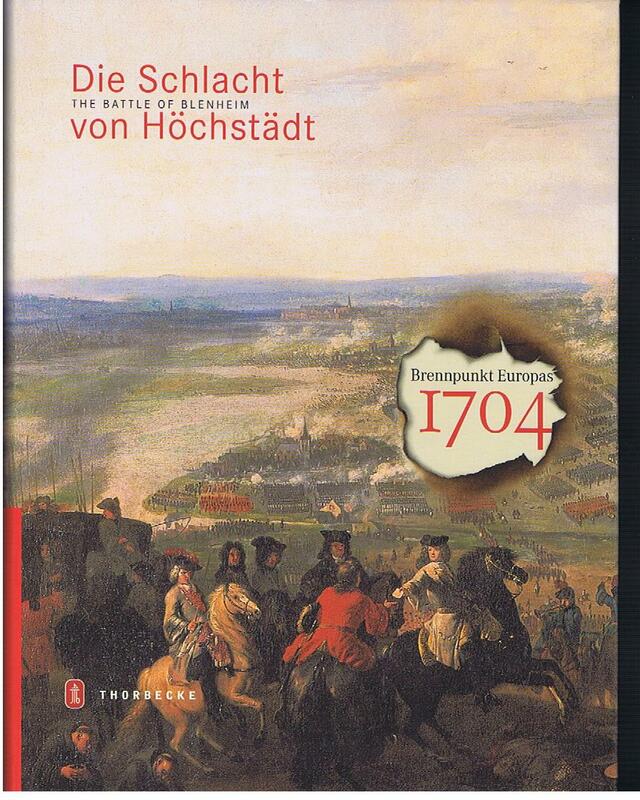 (the Germans call the battle the Battle of Höchstädt"
I laid my hands on a book at a local museum that is pretty nice and goes into great detail about the background of the war of Spanish Succession. The Battle of Blenheim was the climax of that war. The book has a number of maps. If you look at the right side here, there is a woodline. I took some panoramic pics of that area. There the Imperials under Eugene faced the Bavarians. The Bavarians almost defeated Eugene when the allies had to fall back in to the woodline. Towards the end of the day, though, they rallied and returned to press the Bavarians. Here is that wood line as seen from the French side. 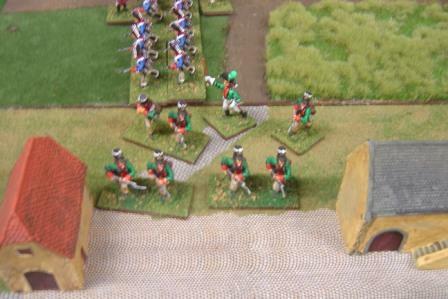 Here I a looking towards the far right flank of the Bavarian army. Here we see the far woodline into which Eugene's troops fell back into. 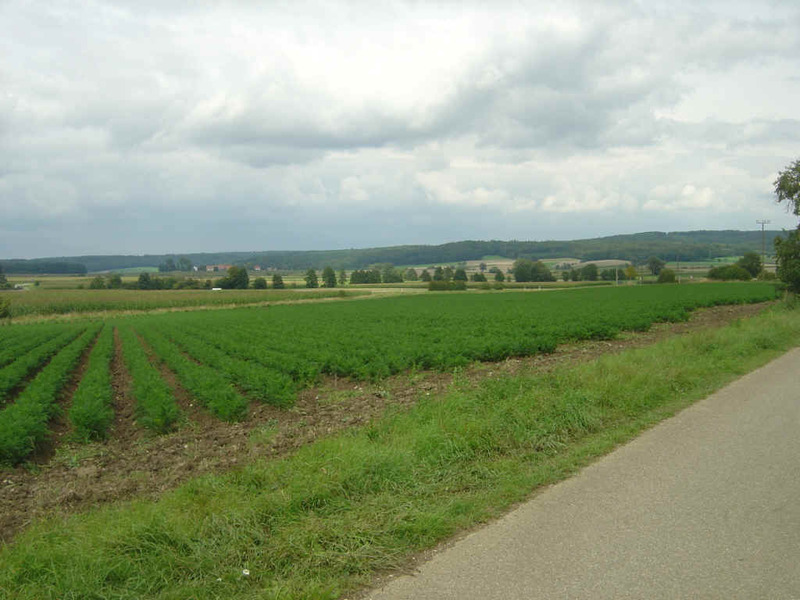 This is are views from the French line across the battlefield towards where the British/Imperial army marched under the cover of fog (from the right to the left) and set up their battlelines, unmolested by the French. 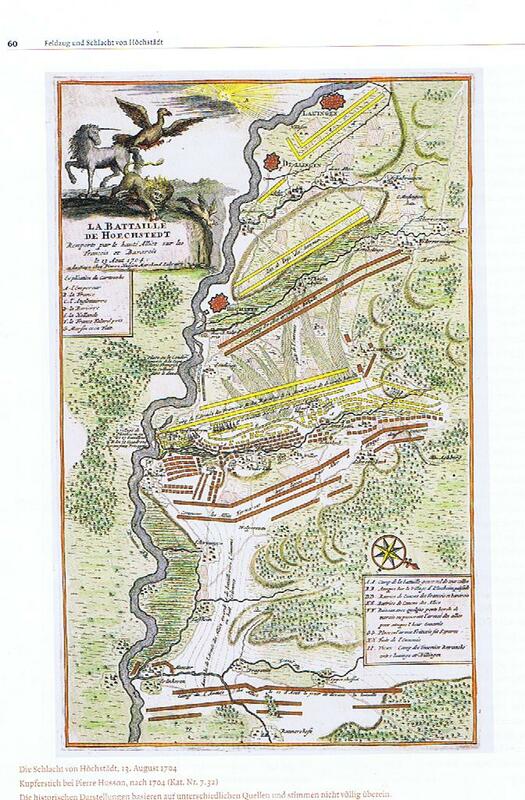 The French could not understand what was going on so Marlburough stole a march on the French here to win the day. Having walked the ground, I am just stunned that more men fell victim to heat exhaustion. A plaque commemorating the battle. This is in Höchstädt. Here are some pics of the display. I HIGHLY recommend the visit. The museum there is only open on Sundays from 1400-1700. The church in the center of the town of Blindheim. English speakers call this town Blenheim. You can even take a bicycle tour of the area and the battlefield, it is only about 30 Km in total to ride around the battle sites. There are small memorial stations explaining what one sees all along this path. 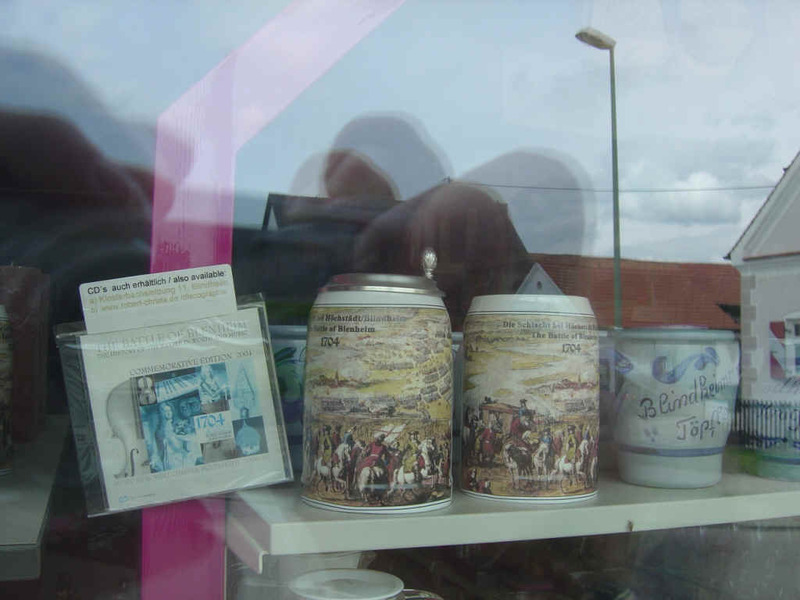 I even got a souvenir beer mug at the local general store in the foreground there. We also went to Nördlingen, a nicely preserved medieval town about 30 Km away from Blindheim. 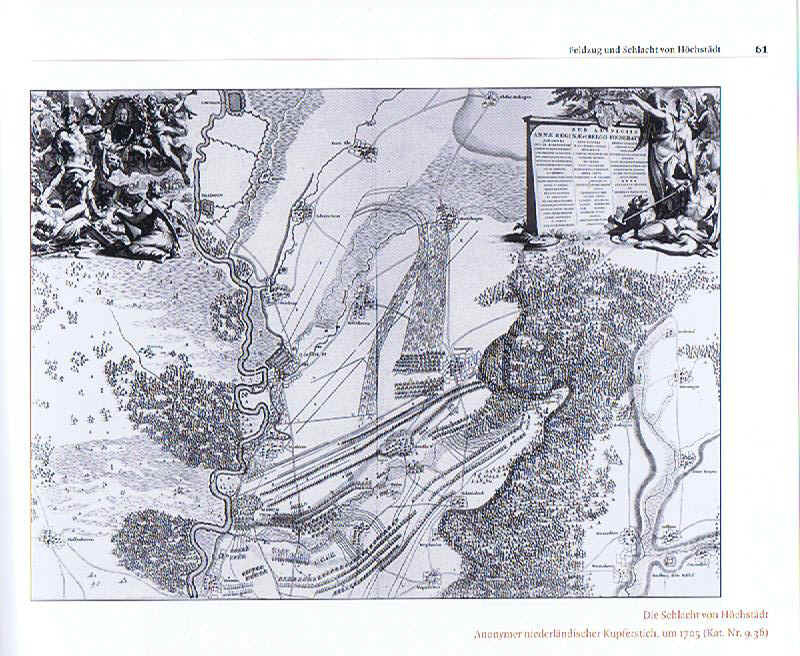 It was near the battle by the same name in the 1645 - the Thirty-Years War. There the Swedes and other Protestants were resoundly defeated by the Imperials. The town was mercilessly plundered after the battle. It has been restored and now is a nice place to visit. It also has some wonderful museums. There is a display of flat figures depicting the battle. 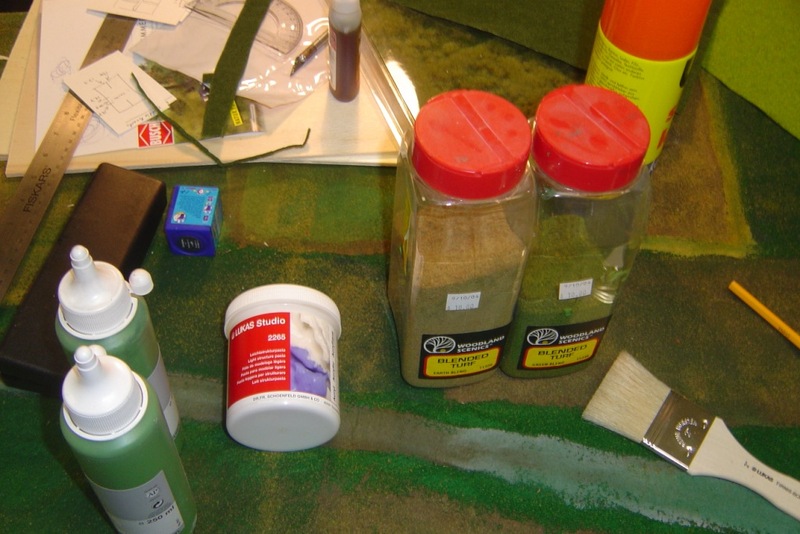 I am working on a lot of terrain. Here are some samples of an idea I have been thinking about for some time. 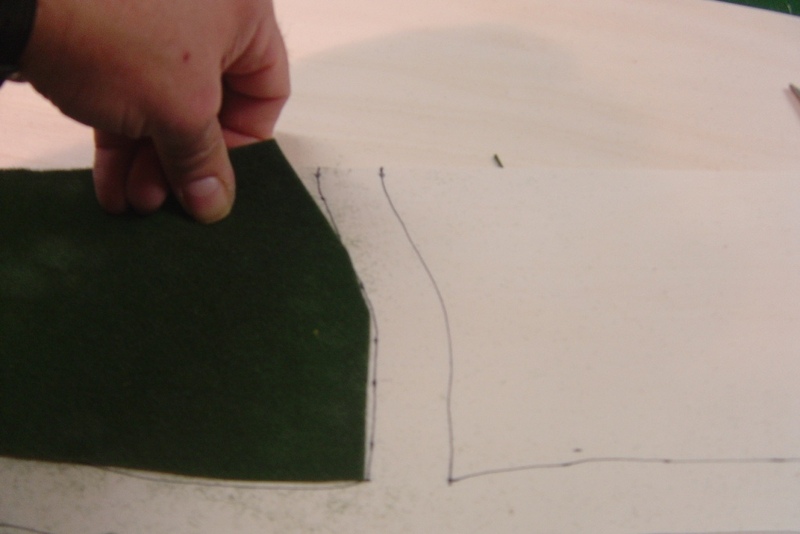 I designed a way to have geo-morphic boards. These would offer me some pretty neat terrain that I can connect to any other board, in any way. I also have had to face the fact that where I am at now I have just simply no space. 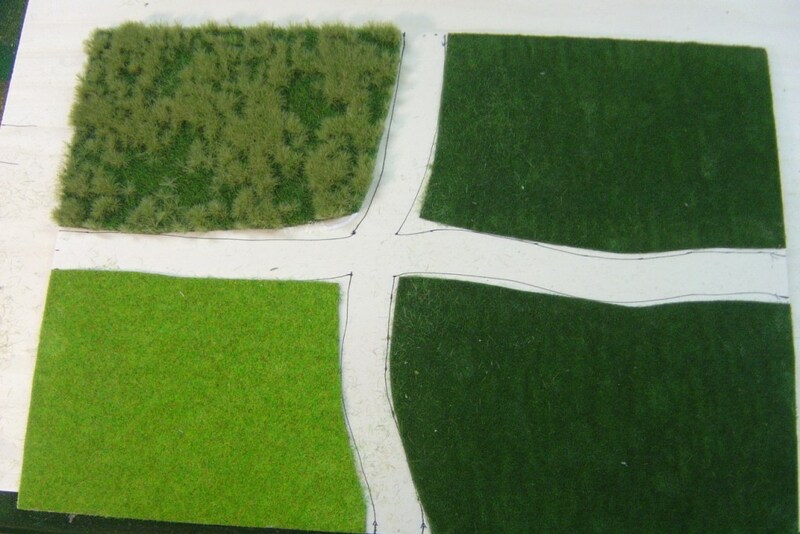 So, these boards allow me a lot of variety of terrain and situations for miniatures games. flocking, paint, brushes, paste, and some imagination. 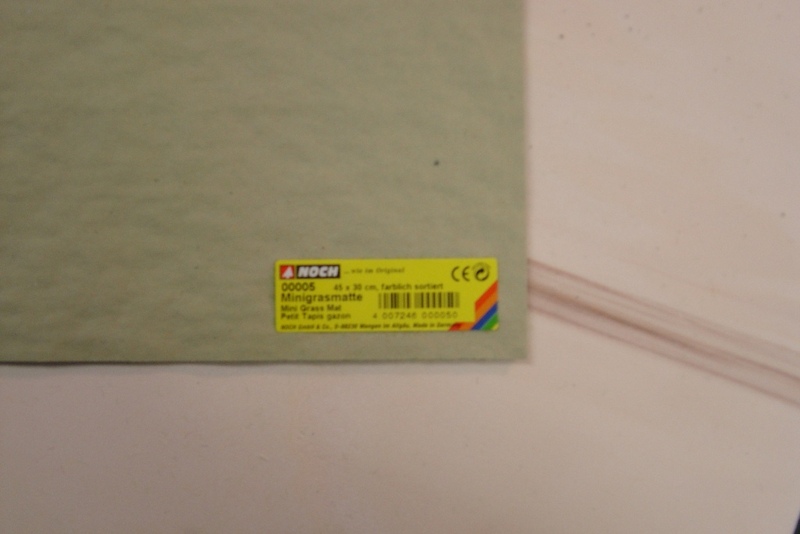 I start with some thin airplane plywood sheets, in standard sizes. 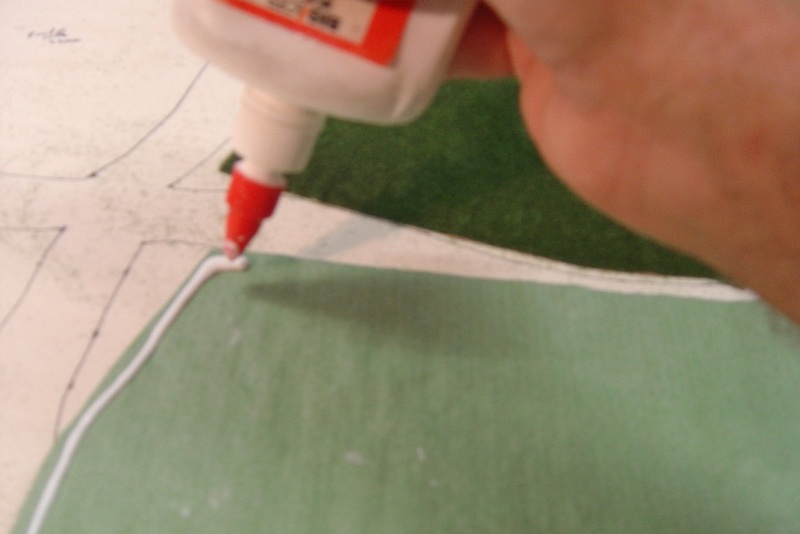 I use a sheet of flocked paper, cut to the right size, and I use spray glue to paste the sheet down. I will show how I build at crossroads piece. 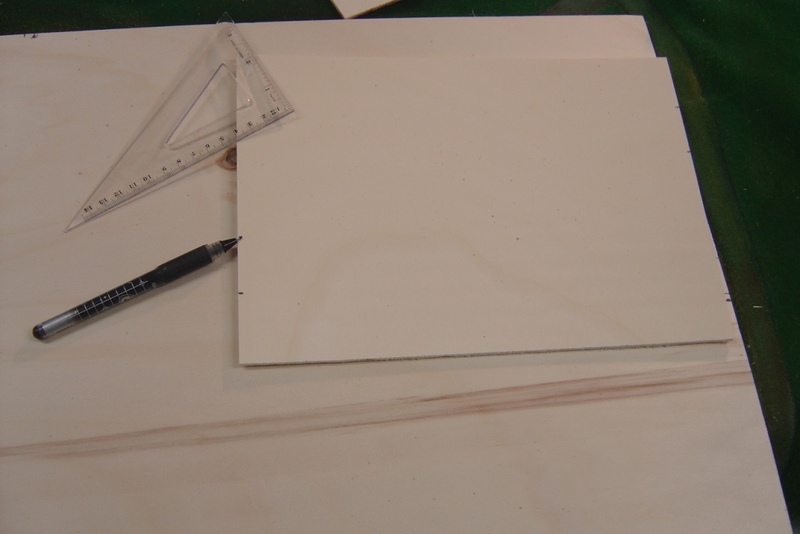 I draw a pattern on the wood sheet, cut the flocked paper and paste it to the board, leaving the lines I drew for roads. 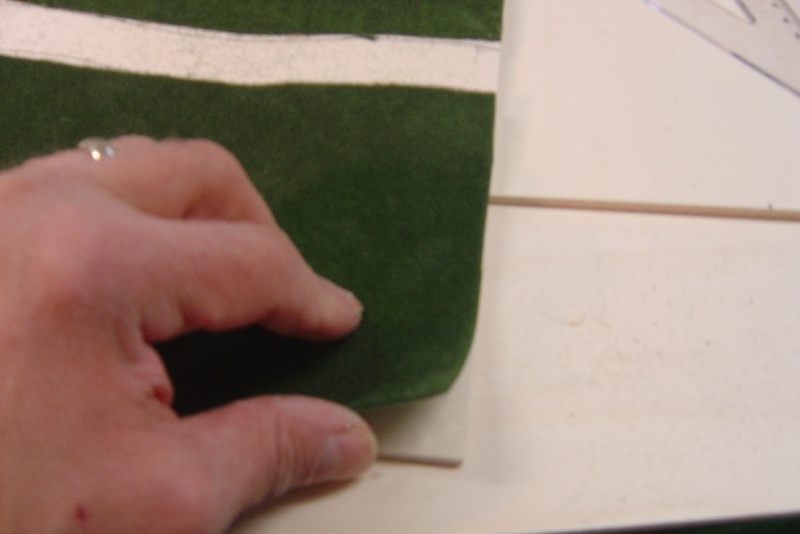 Make sure the corners are glued down well, since this is where the games will stress the seams. I use some white glue to re-enforce these corners. 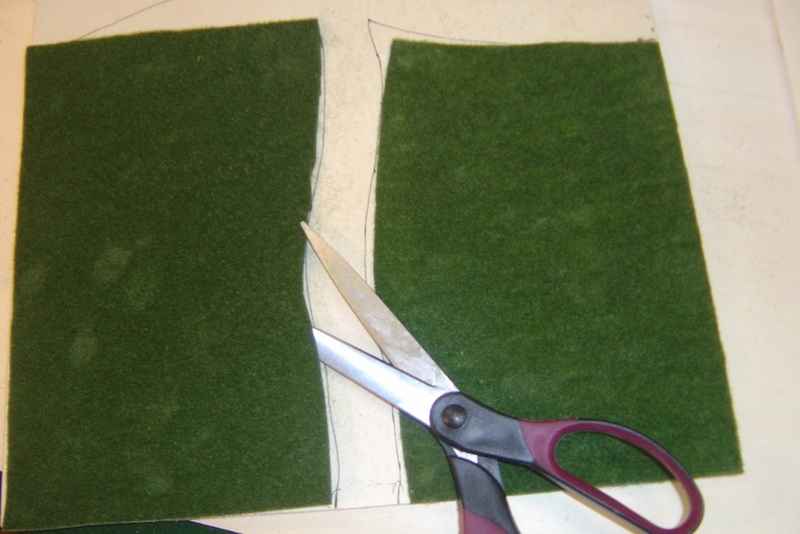 See how I cut the pattern out? 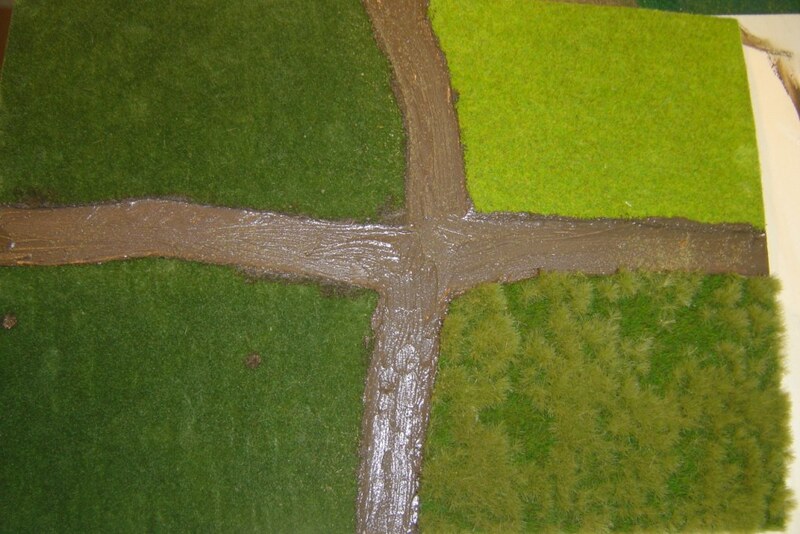 I use a variety of green sheets to make up each corner of the crossroad. 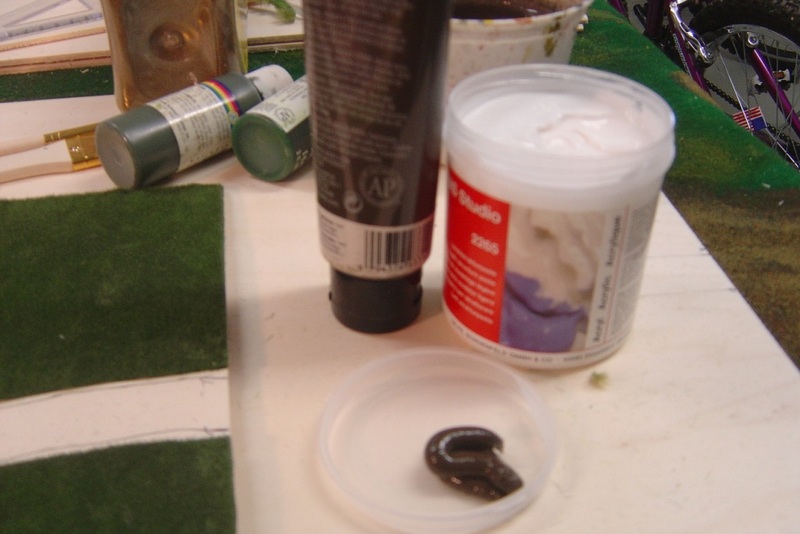 Once dry, I paint the road with a thick brown paint, thickend with gesso paste. 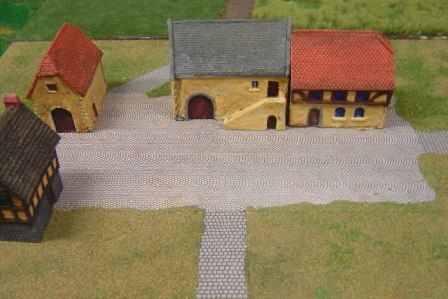 Just before it dries I sprinkled some sand and fine brown dirt on it to give it the appearance of a dirt road like in the 17th-19th Century in Europe. 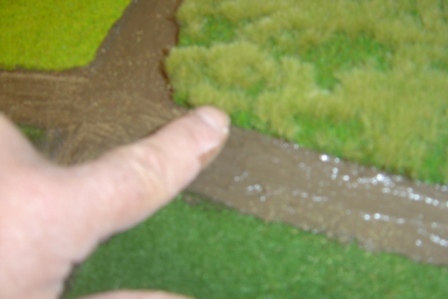 Yes, I use my fingers, since this way I can get the effect of a worn road. 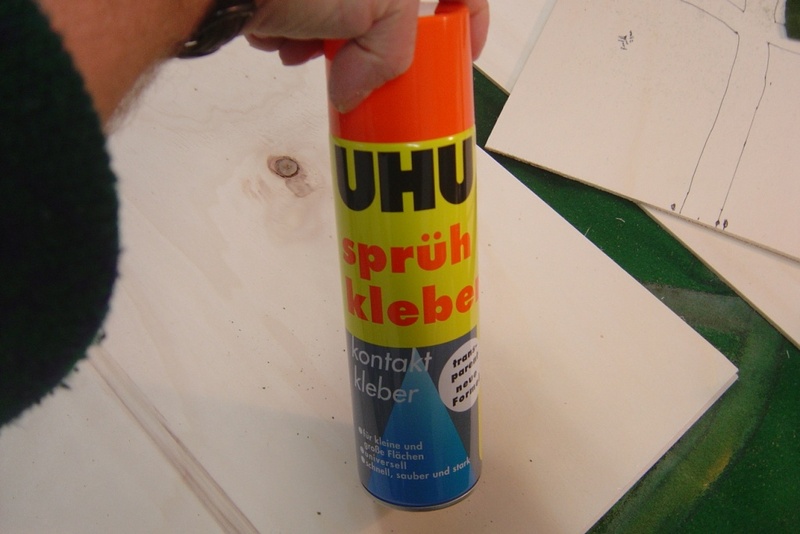 When the paint/paste dries, it no longer looks shiny.